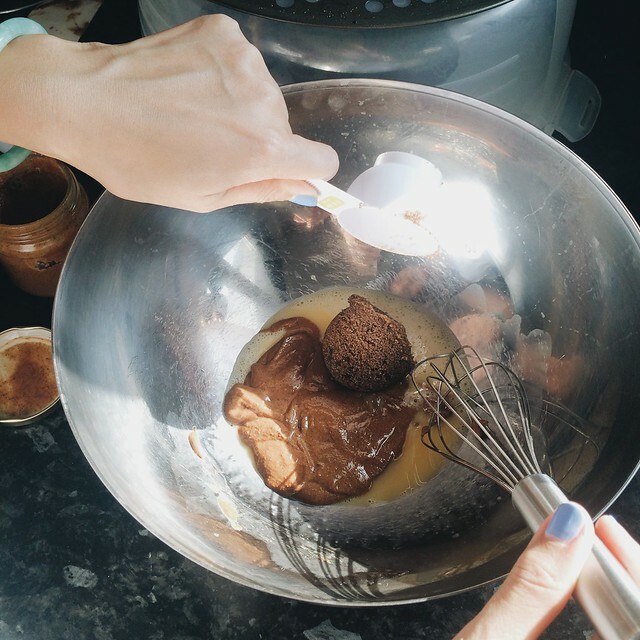 I love Almond Butter and I love the whole process of roasting raw almonds to blending them in my beloved magimix. The process is an art in itself watching whole almonds release their natural oils and creating a butter. OK I'm getting carried away but you get my drift. I have added an extension to this art in the form of cookies! 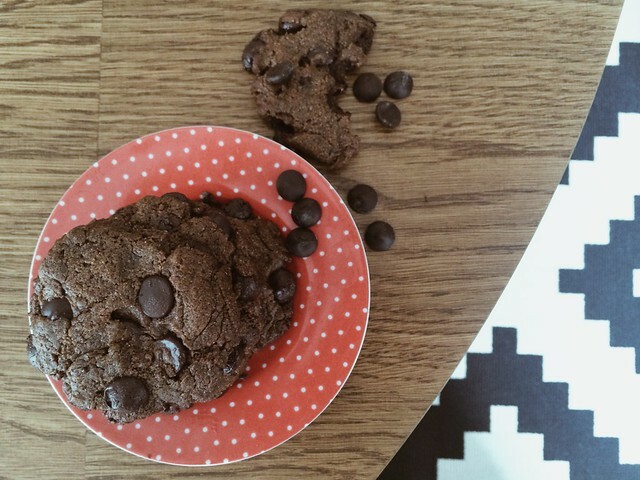 Everyone loves a cookie but this one is a special one for our gluten free readers. 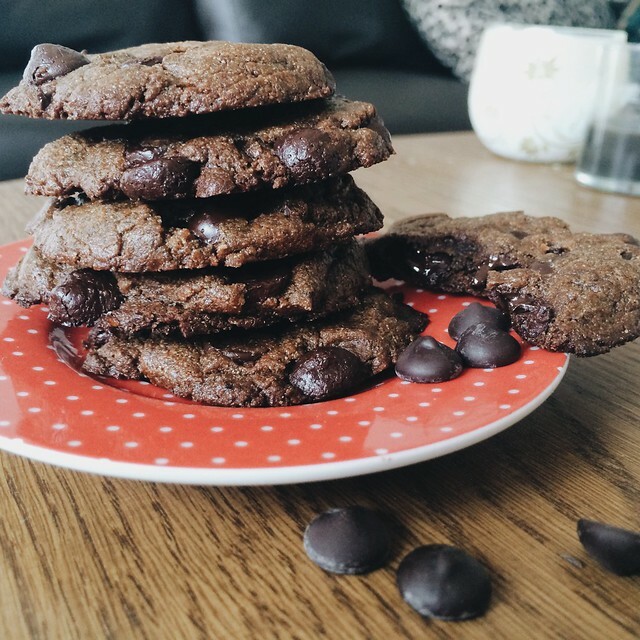 We've created a cookie which needs minimal ingredients and is so yummy! Time to take over Laura's kitchen! 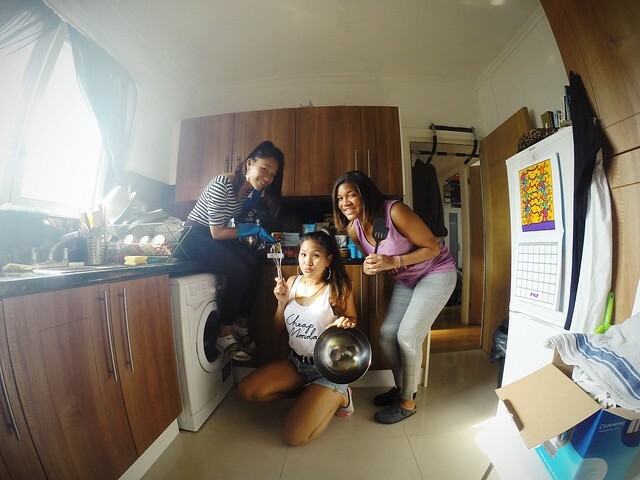 Get your oven ready at 175C (350F) degrees while you get your ingredients together. Grab your baking trays (I only needed one) and line them with parchment paper. Beat the egg in a bowl and add the rest of the ingredients. You'll work up an appetite mixing these ingredients together because the Almond Butter is quite hard to mix in, but keep going! The warmer your almond butter gets the easier it will be to mix. I found it easier to put the dark chocolate chips in last and then mix them in. Once all mixed together get approximately a tablespoon (depending on how big you want your cookies) of the mixture and dollop it on your tray. Press it down with your spoon to get a flat cookie. They will be quite oily because of the almond butter. I didn't need to blot the cookies but you can if you want. Bake for around 10 minutes and add a couple minutes to that if you want them to be a slight bit more crunchier. Don't forget to leave them to cool for about 10-20 minutes. We didn't- can't help but eat a freshly baked cookie that is still warm. I used my homemade almond butter for this which is just 100% roasted almonds and no other ingredients. If you're going to try this recipe out I'd suggest using almond butter that has no other ingredients in it. Let me know if you try it out, it's been a while since I made this. My belly is grumbling looking at the pictures.